Minto Place in Rockcliffe Park is one of the homes on this year's Homes for the Holidays tour. It seems that some of the folks who welcome complete strangers into their kitchens and living rooms and hallways during the annual Homes for the Holidays fundraiser just can’t get enough of sharing. The event sees homeowners opening their residences, which have been professionally decorated for the Christmas season by local florists and designers, to over 1,600 visitors. Proceeds from ticket sales go to Hospice Care Ottawa, a charitable organization offering free palliative and end-of-life programs and services to local residents. The generosity of these homeowners is key to the success of the tour, which is in its 16th year and staffed by over 500 volunteers. Last year, Homes for the Holidays raised $160,000. The event is Hospice Care Ottawa’s major fundraiser, says Lalonde. 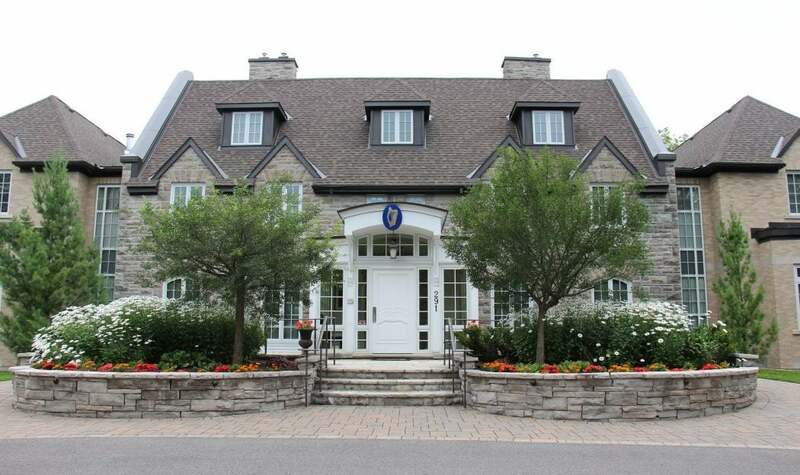 There are eight homes on this year’s roster, from Rockcliffe Park to Westboro and south to Manotick. As well, there are the ever-popular Holiday PopUp Shop at the Official Residence of the Irish Ambassador to Canada and the Holiday Bake-Off and Handmade Bazaar at the Ruddy-Shenkman Hospice. Homes for the Holidays is a terrific way to get inspired for the holiday season while supporting a worthy cause. Here’s a taste of what you’ll see when you visit the homes. 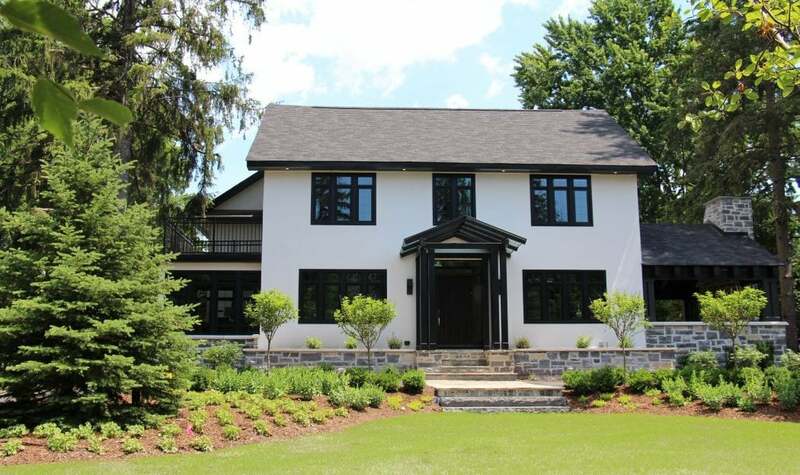 Built in the late 1920s, this home was recently reconstructed as a luxurious, modern residence within the City of Ottawa’s heritage guidelines. Features include a grand entrance with floor-to-ceiling windows and a sun porch that serves as a study with a full street view. Spotlighted in the April 1938 edition of House and Gardens, the original gardens include a large spruce ready for the holiday season. Decorated by Mill Street Florist. Decorated by Karen Grand, Grand Expectations and Scrim’s Florist. 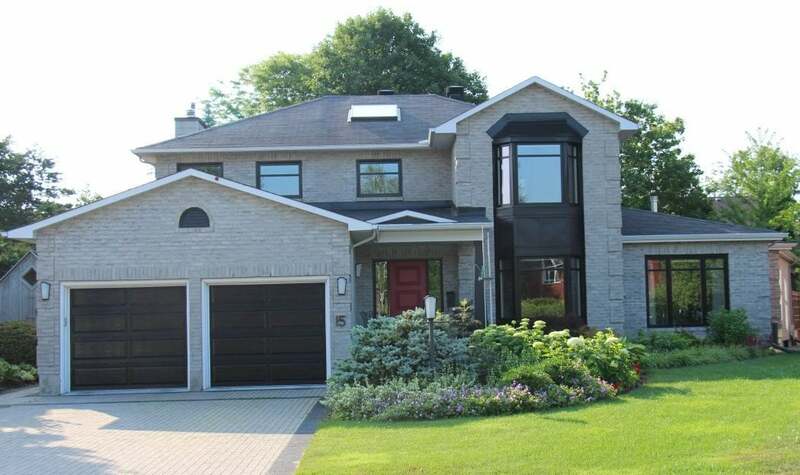 Nestled between the Ottawa River and bustling Westboro, this executive townhouse is part of an enclave of 19 residences designed by Barry Hobin and built by Uniform Developments in 1998. Inside, hints of the Orient, English country home accents and relaxed, modern spaces join forces in unexpected fashion. Keep your eyes open for the owner’s eclectic collection of landscape paintings, all by Canadian artists from Newfoundland to B.C. Decorated by Flowers Talk Tivoli. 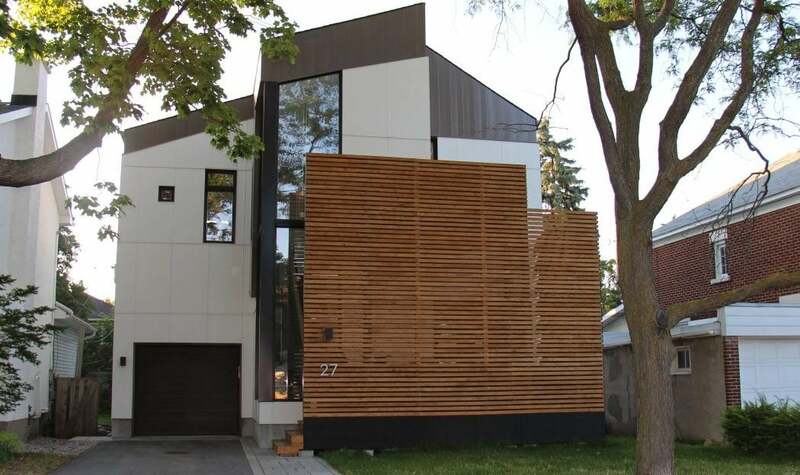 Situated in Westboro Beach, this contemporary family home with its light-filled open spaces and surrounded by mature trees evokes a sense of serenity and timelessness. Warm wood, linen and woolen textiles soften the crisp white walls, clean lines and minimal furnishings, while watercolour paintings bring splashes of colour. 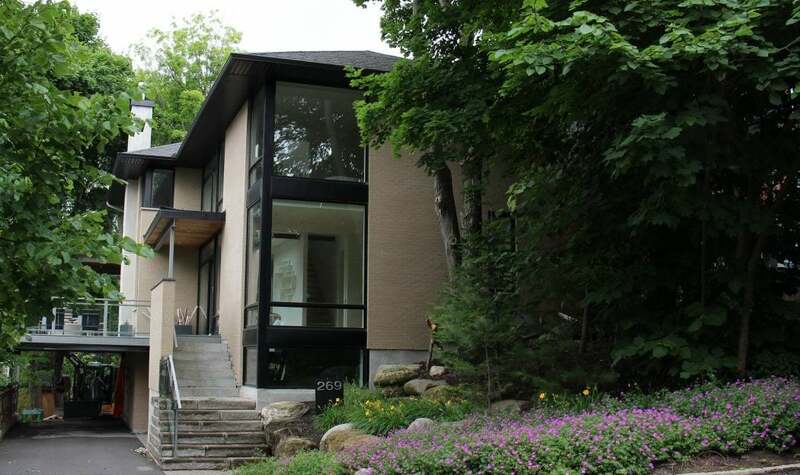 Designed by Ottawa architect John Donkin, the home offers top-floor views of the Ottawa River and Gatineau Hills. It’s all about light in the “Reflex” house, which was designed by local architects Plot Non Plot with a central reflector to carry light down through all levels of the house, a glass floor light well on the main floor and a large corner window. A generous home office sits atop the garage with its own balcony. Living space extends outside with a screened front deck and a back tiered deck for entertaining. Decorated by Alta Vista Flowers. 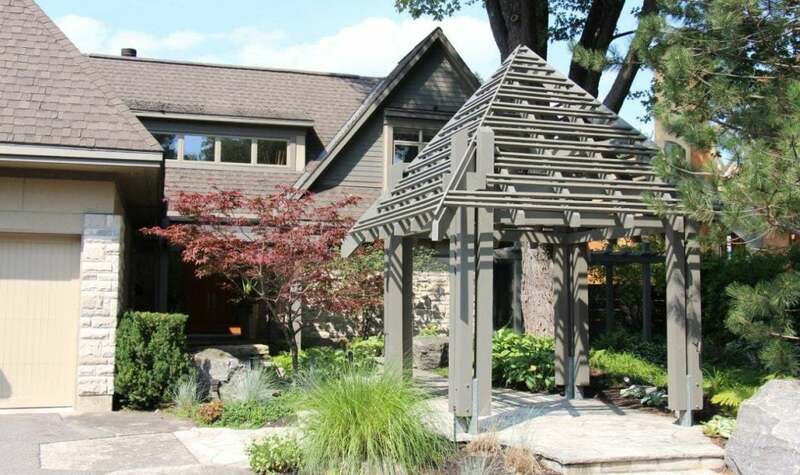 The “Courtyard House on the Rideau” gets its name from the ample centre courtyard that greets visitors as they walk under the pergola and past a majestic maple to the front entrance. 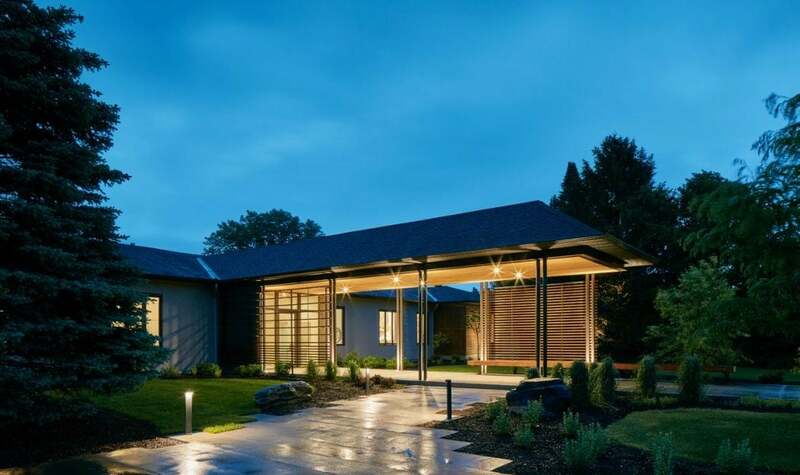 Designed and built by architect Christopher Simmonds and Roy Nandram of RND Construction, the home with its Arts and Crafts exterior has a deep connection to nature thanks to the blending of inside and outside. Decorated by Stoneblossom Floral Gallery. This spacious home is packed with 30 years of memories of the family’s travels and fishing trips. 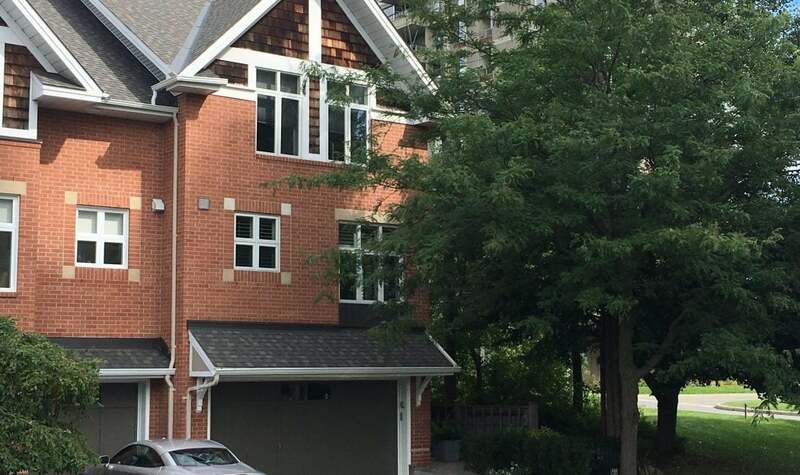 Thanks to a renovation, there’s now the option of living comfortably on the main floor surrounded by an eclectic collection of Canadian art, including a large painting above the stone fireplace that slides away to reveal a flat-screen television. The basement level was more recently renovated to include an apartment for visitors or, if needed, a caregiver. Decorated by Trillium Floral Designs. Architectural detailing defines this stunning waterfront bungalow’s recently renovated exterior, including a 65-foot front porch. Inside, the family room features a collection of mid-century furniture and a view of the Rideau River. The reclaimed wide-plank hardwood floors provide a rustic grounding to the kitchen’s crisp modernism. There’s an indoor pool, while a sunken modern library space offers an ideal escape and a great spot for a glass of wine. 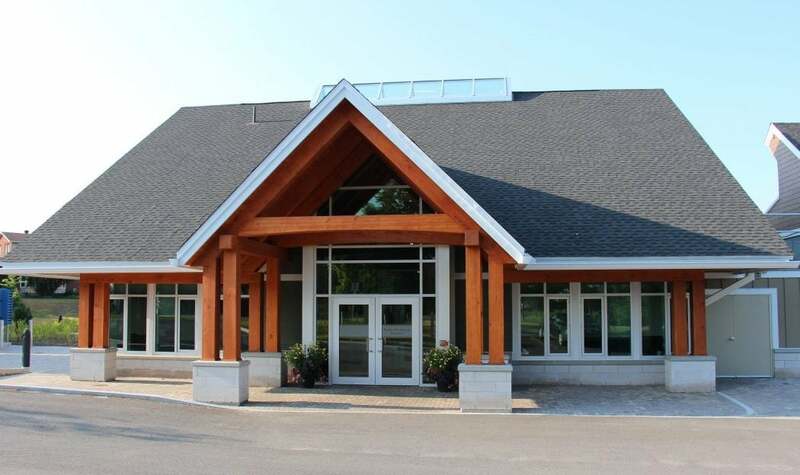 The Ruddy-Shenkman Hospice in Kanata, which houses a variety of community programs, hosts this year’s Holiday Bake-Off and Handmade Bazaar. Guests can vote for their favourite edible creation, enjoy complimentary refreshments and get a head start on holiday shopping with an array of one-of-a-kind items. All proceeds go to Hospice Care Ottawa. The Holiday PopUp Shop is located at the Official Residence of the Irish Ambassador to Canada in Rockcliffe Park. Get a head-start on your holiday shopping with a wonderful selection of unique gifts and specialty food items. Homes for the Holidays runs Nov. 16, 17 & 18. 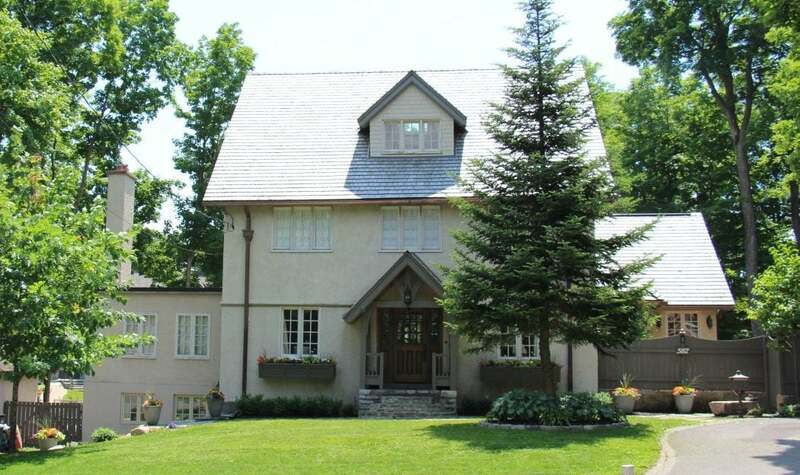 Each house is open 10 a.m. to 4 p.m. Tickets are $50 and available at various outlets in Ottawa and area. 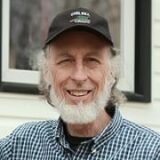 Information: 613-260-2906 ext. 222 or hospicecareottawa.ca.